The San Diego City Council’s Smart Growth and Land Use Committee Wednesday advanced a code amendment to the council that would prohibit housing discrimination against applicants who use Section 8 vouchers or other rent subsidies. The amendment was advanced with no recommendation through a split 2-2 vote. Council members Georgette Gomez and David Alvarez supported the proposal, while council members Scott Sherman and Lorie Zapf did not. Section 8 vouchers aren’t protected by state law that prohibits discrimination against tenants based on income source, which allows local landlords to refuse to rent to certain individuals as a business practice. The proposed code amendment would block landlords from rejecting applicants based solely on voucher status, though they would still retain a right, based on other rental criteria, to choose residents who don’t use subsidies. Studies have found that prohibiting income-based discrimination leads to increased neighborhood options for residents and decreased segregation. Local California governments with such provisions include Berkeley, Corte Madera, East Palo Alto, Foster City, Marin County, San Francisco, Santa Clara County, Santa Monica and Woodland. San Diego’s proposed ordinance would also establish a $1 million landlord contingency fund for property damage and/or lost rent related to renters with vouchers. Implementation of the proposal would take two years. Year one would focus on voluntary compliance as well as landlord outreach and education of the potential benefits of renting to Section 8 users, including consistent on-time rent payments, long-term tenancies, flexible leases and background checks. Year two would introduce investigation and enforcement services. More than 15,000 low-income households receive Section 8 assistance through the San Diego Housing Commission. That breaks down to 36,478 individuals, 86 percent being people of color. Though there’s currently 100 percent utilization of vouchers, Housing Commission President and CEO Rick Gentry said applicants aren’t always able to live in preferred neighborhoods. Currently, distribution of voucher holders closely matches distribution of racial and ethnic minorities in San Diego, according to a presentation by committee consultant Keryna Johnson. The presentation also included various online rental listings that explicitly advise Section 8 users not to apply. 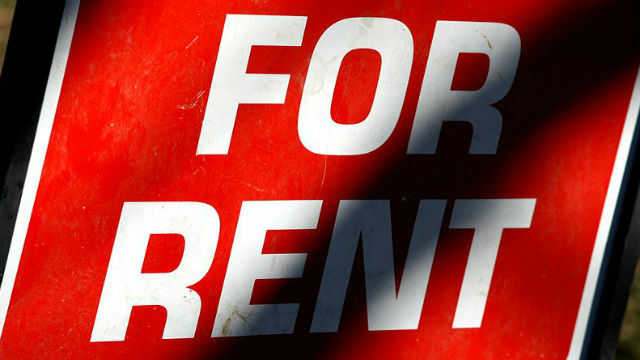 Landlords who spoke during Wednesday’s committee meeting cited increased vacancy time due to complicated paperwork and intrusive unit inspections as reason to turn away voucher holders. Gentry said the rental process, from finding an applicant to issuing a deposit payment to the landlord, only takes 14 to 18 days. More than 5,200 landlords participate in the Housing Commission’s Section 8 program, and 68 percent rent to only one voucher-using household. The Housing Commission also issues rent payment to landlords the first business day of the month, Gentry said. “So if we had an onerous process I fail to see how two-thirds of over 5,000 landlords would participate for just one unit,” Gentry said. Alvarez said the ordinance is a step toward increasing neighborhood diversity. Though she supported an education and outreach program, Zapf wasn’t “ready to say it’s discrimination” to deny a rental application based on Section 8 voucher use. The proposal needs more vetting, she said.